Bracken Man is a popular perfume by Amouage for men and was released in 2016. The scent is spicy-green. The longevity is above-average. It is still in production. The scent is part of the „The Midnight Flower“ collection. ...unfortunately not everyone likes it. It is too "strict" for my wife and I have to admit that - especially in the top note - it is dominated by a very spicy carnation, which in my opinion fits better as an ingredient in a mulled wine than in a perfume. As soon as this note subsides, the fragrance becomes smoother and closer to the body, almost cosy (probably due to the patchouli). As a target group I suspect men of a slightly more mature age who like green, clean barbershop fragrances. I estimate the shelf life at 6 to 8 hours. It's a drama that oriental scents aren't for me. What a fertility this is! What a Sillage! What a shelf life! My favorites can't stink at all against that. I need 0.5 to 1.0 ml of my scents to get reasonably through the day. With this Amouage here only 0.15ml are necessary, so two sprayers, and everything smells all day long like a great mixture of 68er patchouli with noble lavender soap. Bracken Man smells like a men's fragrance of the 80s. Hey Catch22 and DasguteLife and soul mates!! That's one for you! Wow, those were scented personalities back then. No IsoAmbrox stuff, no synthetic sweetness, but genuine, honest perfume trade with genuine, honest raw materials. Such one is also Bracken Man, although from 2016. I am surprised that Habit Rouge is not mentioned here as a fragrance twin. It is also patchouli-embossed, and the heaviness of this fragrance is skillfully carried up by fresh, soapy notes. Oh yes: I can test elegance. One (n) is dressed like with a tail coat, which can be also times very beautiful. Just not in the office or in the subway. A compromise assessment, let's say 7.5, would in no way do justice to the fragrance. He deserves at least 8.5, even though I don't use him. I don't want to be too long! As we all know, the summer was very hot!!! Ready, on my feet...& I wanted to test him!!!! Well, you could have expected..., but like that?????? Still in the bus I thought that the others were wondering who here the green botany radiates from Bobbes. But then, when you arrive, greet friends and a "ohhhh"... "ahhh"..., you're good! Me? The medical gardener on his way out? He became beautifully spicy, oriental with classic Amouage DNA! He shot himself into the upper league behind my back! Shelf life with me with 10-12 hours definitely top!!! Can Amouage be green to me...? ... so I thought to myself again and again while looking at the fragrance pyramids of this brand and was regularly deterred by the high brown, red, pink and orange parts. Well, I geb´ yes to, oriental, leathery, sweet, powdery, gourmand spice bombs with overlong life and projection are just not my thing and therefore long the attitude: Amouage, no thank you! 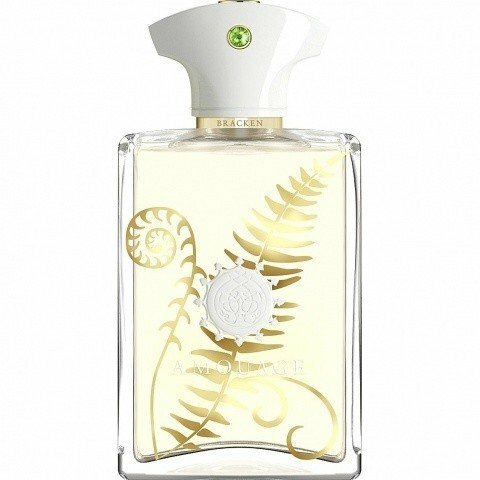 Then one day I discovered the Bracken Man in the pleasingly designed bottle, the interesting fragrance pyramid without too much dark brown and dark red parts and the realization that Bracken (together with fern) is the English word for fern Fern? Since when does fern grow in Oman (origin of Amouage)? Have they now planted water plantations on a grand scale? I always thought that under the tropical sun camels and cacti felt more at home there. Oha, that sounded interesting now, not least because I'm already a fan of the herb-green-citric fragrance segment. For me, the fragrance is a real wow experience and ONE of the discoveries of my past perfumo time! I would now describe it as "oriental light", pleasantly soft clove with cinnamony, slightly fruity floral notes. I wouldn't call this fragrance green, especially a fern note (like e.g. Arlington by D.R. Harris) I can't recognize at Bracken Man. The scent is very pleasantly skin-emphasized, the Sillage clearly noticeable but according to my understanding nevertheless not obtrusive. A single spray in the morning is enough for me all day long. The best time to wear it is actually all year round, with the exception of high summer, when citric-freshen fragrances are more appropriate. If you are familiar with the Amouage line, you know that many of their fragrances are deep and dark. Bracken Man is just a bit lighter. I am very impressed by the perfectly blended notes this fragrance has to offer. TOP SHELF for sure! I think there must be some kind of confussion with this fragrance because of ingredients. It has a lot of herbal aspects in the composition, but not dominates the fragrance. Absolutely fougere in Invasion Barbare way, but if I had to highlight an aspect is the patchouli dominant part. Remember me of that kind of patchouli you can find in Richwood Xerjoff and the lavender parts of Angel men. Not a light fragrance at all even with this presentation, but lighter than his brother Sunshine from the house. There is a clear connection and where Sunshine is vanilla sweet and boozy, Bracken is more formal, classic and elegant patchouli - lavender. Nothing new in this fragrance, although is a new direction in Amouage perfumes. This is not a spectacularly blended and rounded fragrance, a little harsh and headache inducing. I prefer Sunshine for his originality. 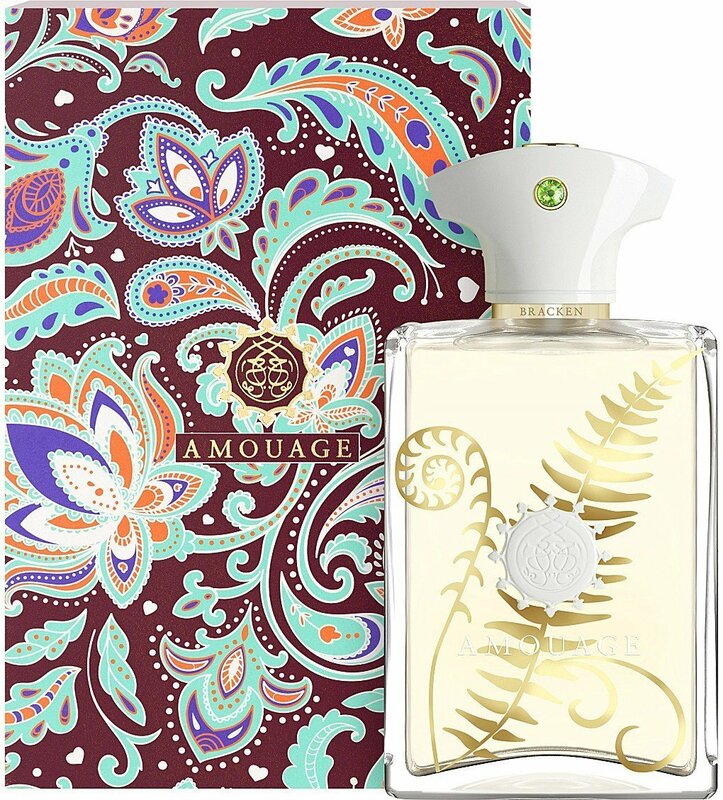 Amouage's take on fougeres done fine. Not spectacular!